Tell your data story with Power BI and reach millions of users with a single click on any kind of a device. Using Power BI, you can combine your data sources, create stunning visualizations, and embed your story on your website within seconds. The goal of this course is to teach you how to use raw data, monitor it, and visualize it in a form that will provide rich insights with the help of dashboards. You will start with a set of business requirements for an example project from a client. Initially, you will connect to a data file. You'll run through the process of connecting to your data, transform it, and then build the data model. This will help you understand and determine which DAX calculations are needed to meet the business requirements. Finally, you will build out an interactive and functional report and a detailed dashboard, and publish them on PowerBI.com. 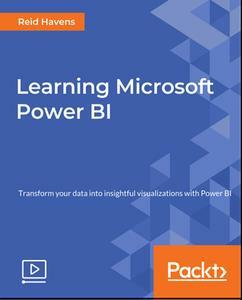 When it comes to learning Power BI, this course will ensure that you have the necessary tricks of the trade for effective insights and simplified visual analytics.